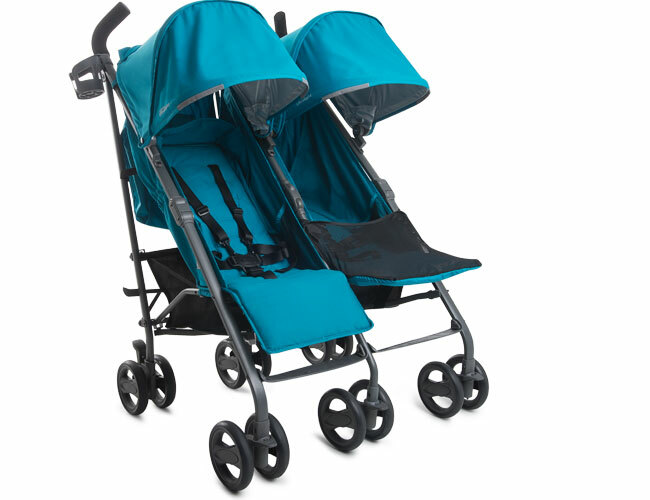 A double stroller shouldn’t be so bulky you don’t even want to use it, which is why designed the TwinGroove Ultralight. 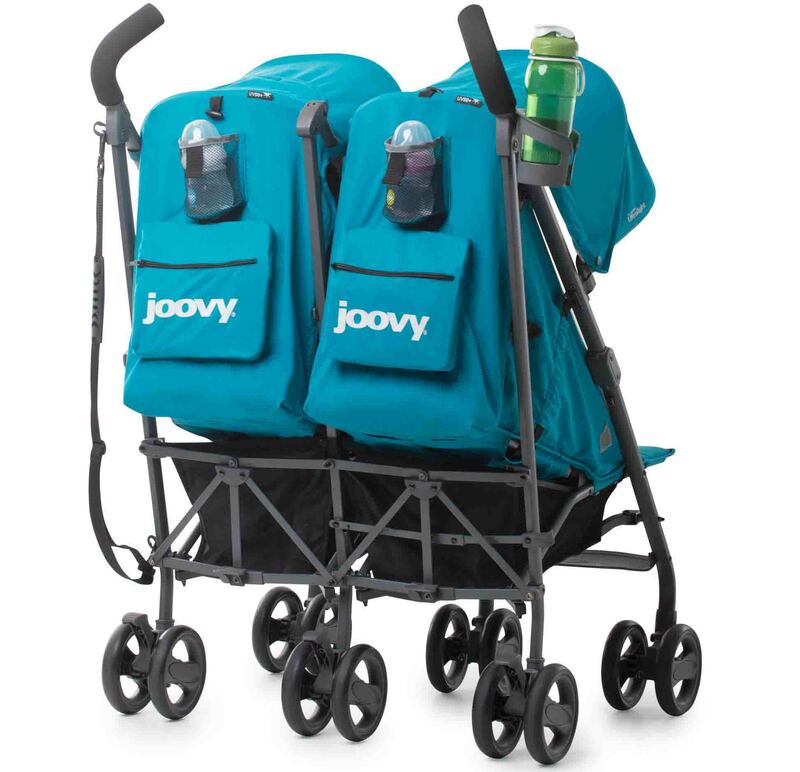 With an overall weight limit of 100 lbs and weighing just 26 lbs, the Joovy TwinGroove Ultralight double stroller has all of the capacity with none of the bulk. With independently reclining seats, you can use this double stroller safely with newborns all the way to children up to 50 lbs — no need for an extra attachment. 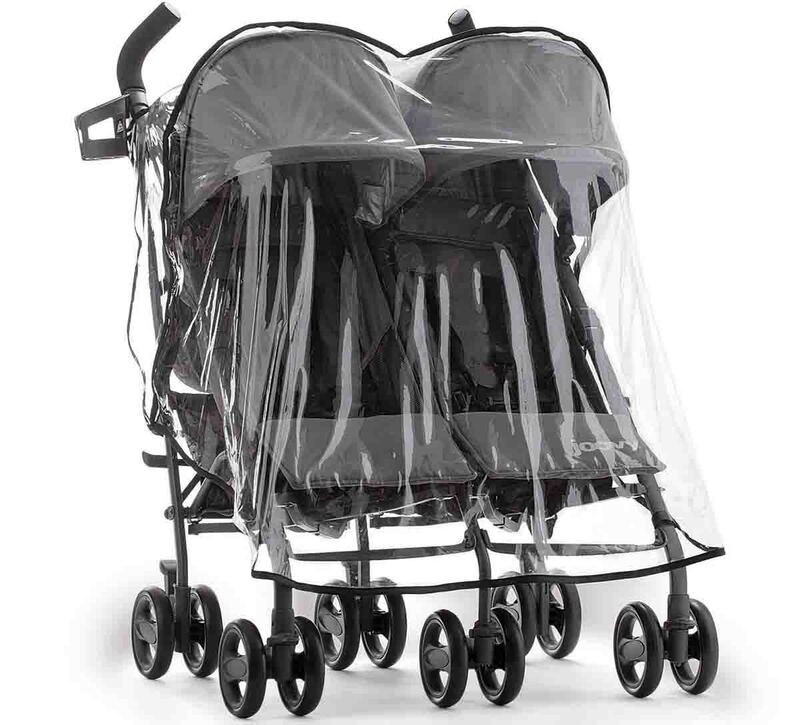 The aluminum frame is strong and durable enough to handle the extra cargo of two kids, but still narrow enough to fit through standard door frames. 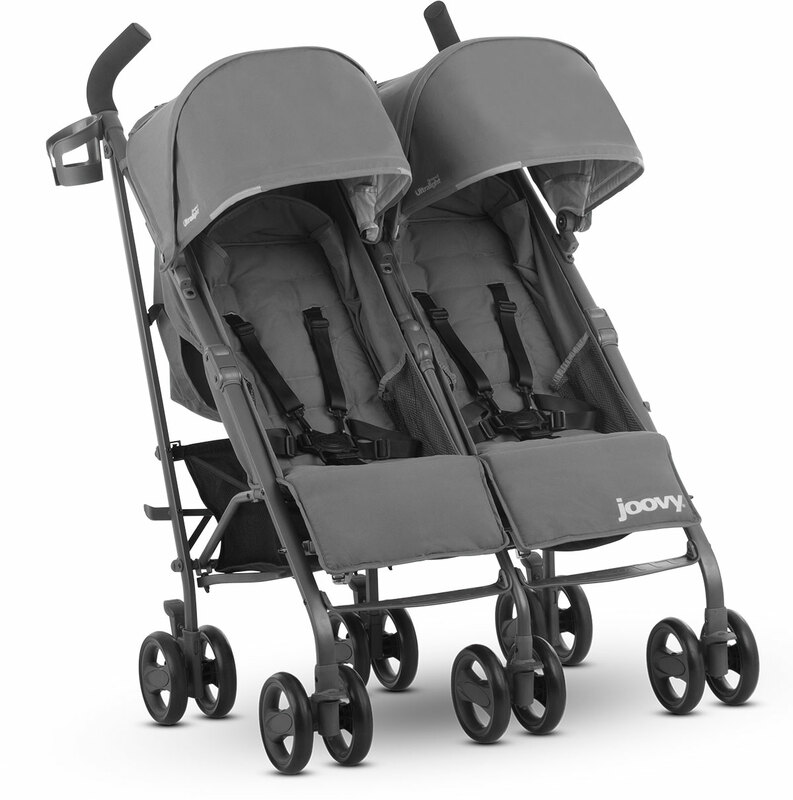 With built in storage, cup holders, and an included carrying strap, we built this double stroller with portability in mind. 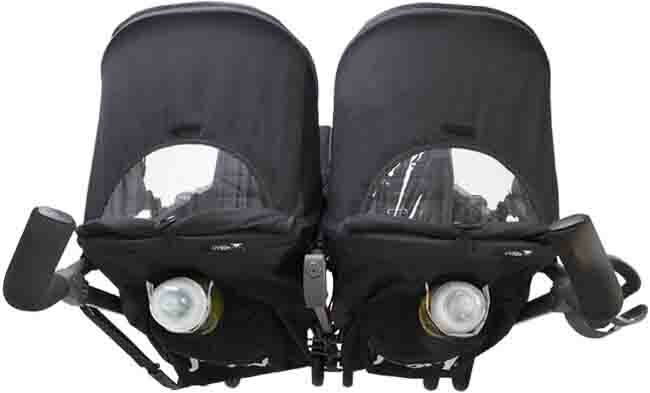 Whether you have siblings or twins, the TwinGroove Ultralight is perfect for growing families. 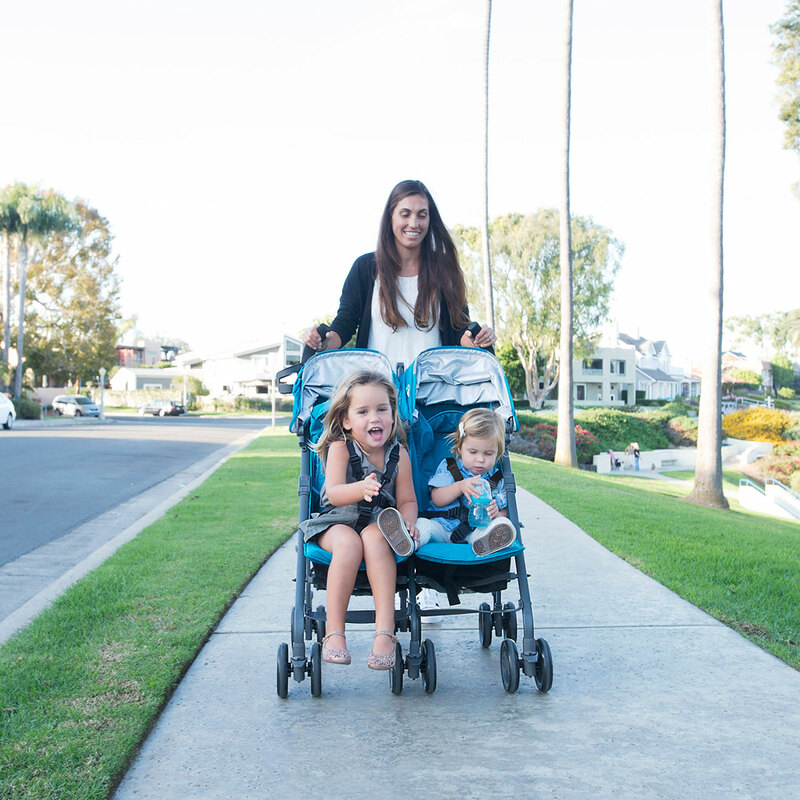 Traveling with two kids is hard enough — we think your stroller should make it easier. That’s why the TwinGroove Ultralight can accommodate two kids, from newborns to toddlers, while still weighing only 26 lbs. 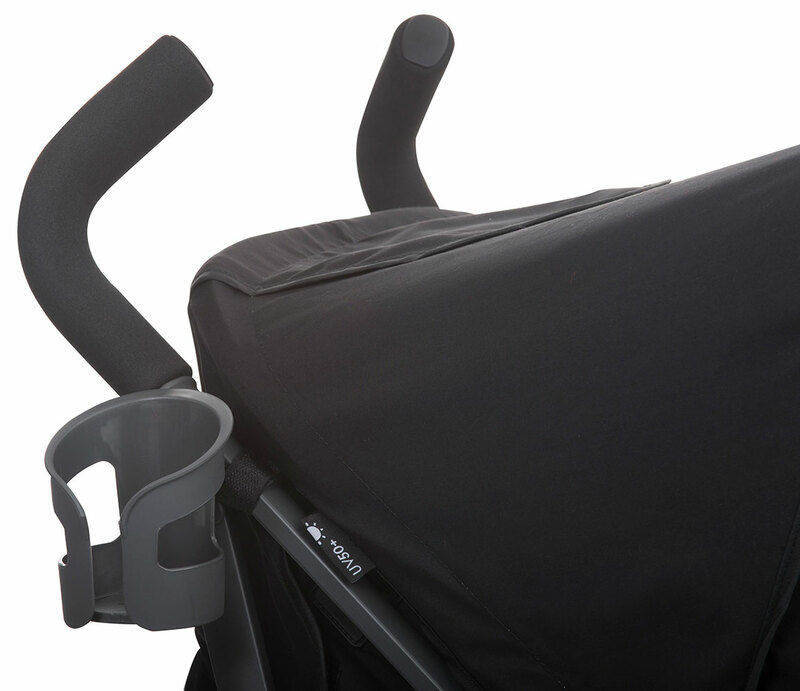 Never fold your stroller down for a doorway again — the TwinGroove Ultralight fits easily through standard doors and checkout lines. 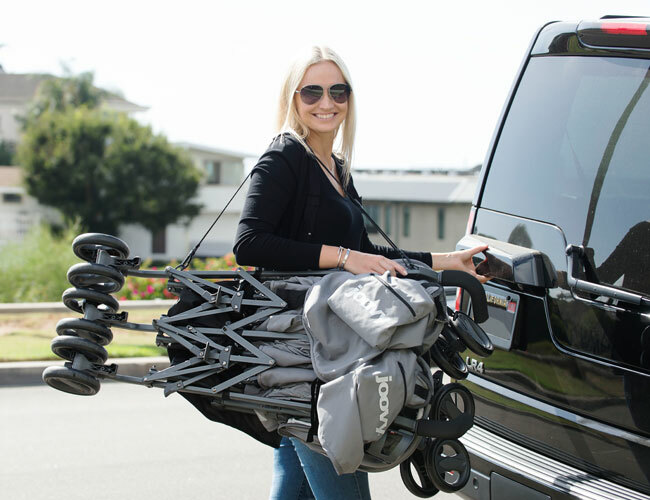 Because you shouldn’t have to upgrade your stroller every year, the TwinGroove Ultralight is made for newborns all the way up to children at 50 lbs — no attachments required. 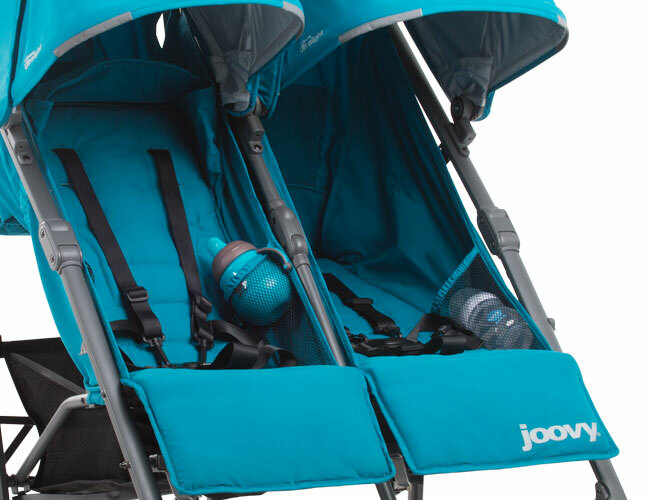 The soft seats of the TwinGroove Ultralight transition effortlessly to bassinet mode for a nearly flat ride that’s perfect for napping newborns. The built-in foot enclosure keeps baby feeling safe and secure. Two compact but roomy underseat storage baskets make it easy to bring everything you need with you. Our separate extra-large canopies provide UPF 50 sun protection with road-ready reflective material on all four sides for added safety. The peek-a-boo window in the canopies mean that even with all that sun protection, you can still keep an eye on your precious cargo. Because without you, it’s just a stroller. Stay hydrated and keep your drink close with the handlebar cup holder for mom. We built the handlebars of the TwinGroove Ultralight extra high, so you never have to hunch. 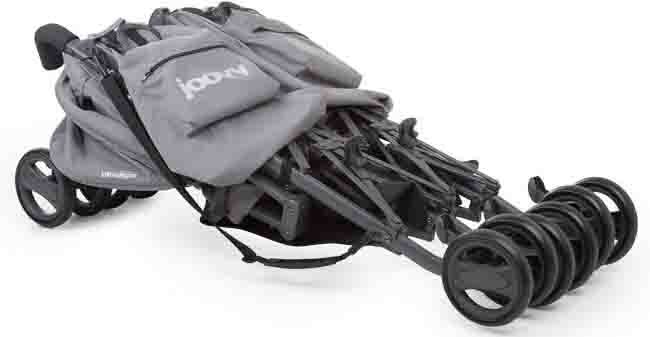 No need to lug this stroller around — just use the included stroller strap. 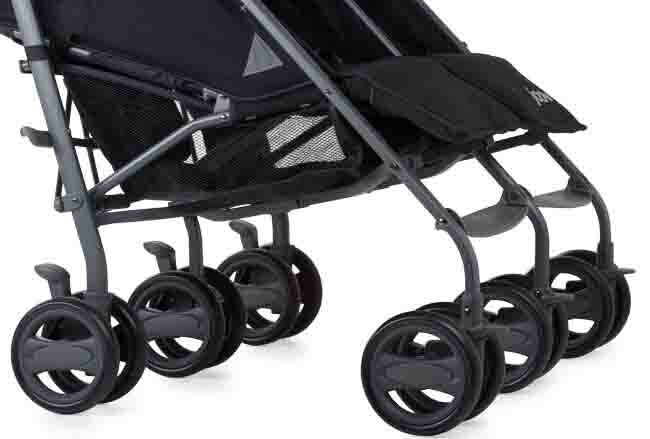 At 26 lbs, the TwinGroove Ultralight is one of the lightest double strollers on the market. Not only does the TwinGroove Ultralight fit through doors, but it also fits in most trunks and only weighs 26 lbs.